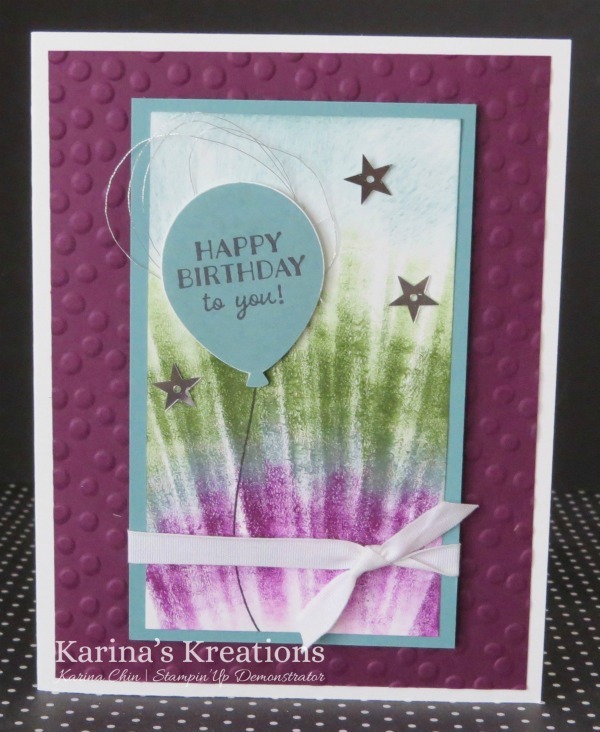 Karina's Kreations: Bouncing Brayer Technique! I was practising my bouncing brayer technique for my class on Wednesday and made this cute card using the Party Pants Sale-a-bration stamp set. This card uses Lost Lagoon, Mossy Meadow and Blackberry Bliss re-inkers which are retiring soon so make sure you buy them before May! In fact, order them in March along with the matching card stock and get the sale-a-bration benefits. 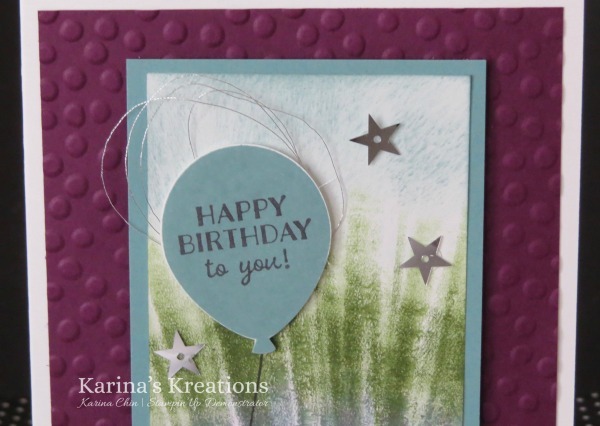 The Party Pants stamp set coordinates with the Balloon Bouquet Punch. I used the Decorative Dots embossing folder on the Blackberry Bliss card stock.